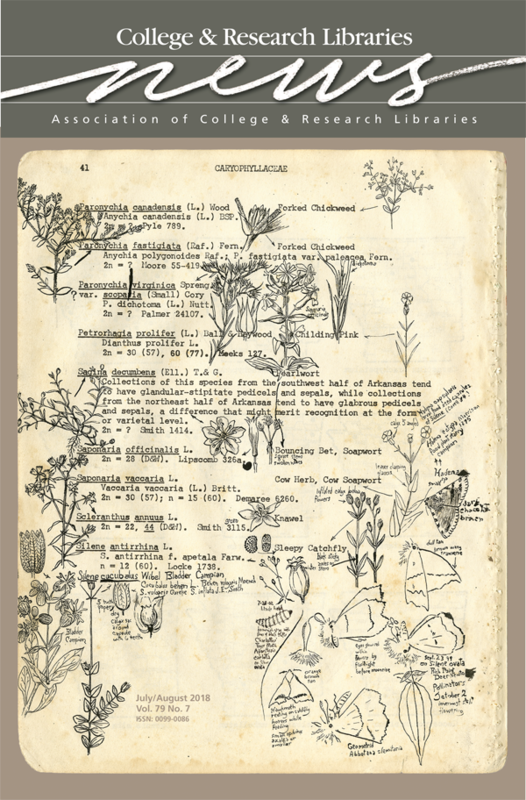 This month’s cover features a page from the 1978 edition of An Atlas and Annotated List of the Vascular Plants of Arkansas by Edwin B. Smith. The page comes from the copy of the atlas heavily illustrated and annotated by the naturalist and environmental activist Kent Bonar over the span of nearly 40 years. Bonar’s manuscript additions are included in the Kent Bonar Materials (MC1665a) in the University of Arkansas (UA) Libraries Special Collections. The UA Press reissued the 1978 edition complete with Bonar’s artwork and field notes in 2017 as An Arkansas Florilegium, part of the series The Arkansas Character edited by Robert Cochran. More information on the UA Libraries Special Collections is available at https://libraries.uark.edu/SpecialCollections/.